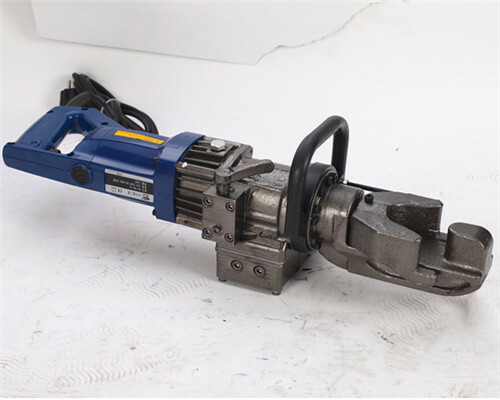 Bending machine for steel bar is extensively applied to construction and steel bar process factories, such as house building, tunnel building, bridge building, highway building and road construction and so on. 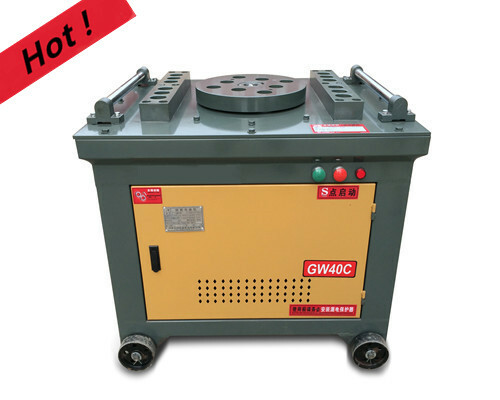 With this machine, we could get different angles of steel bars needed for working. This greatly improve work efficiency, promise construction quality and construction progress. Easy to remove with four wheels. With the increase in demand for steel bars in building industry, there have a lot of steel bar bending equipment manufacturers in China. Ellsen, as one of top manufacturers, has a very good reputation in overseas reinforcing steel process machines market. 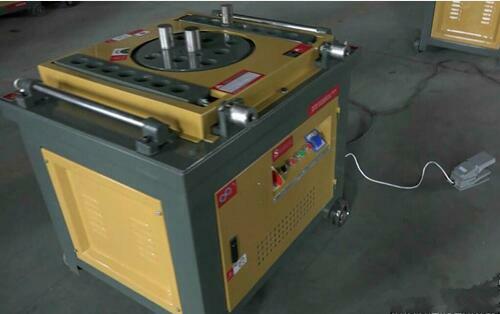 Our Ellsen bending machines has been sold to Australia, USA, Canada, South Africa, Cameroon, India, Thailand, etc. Ellsen always trust that long-term cooperation with clients will benefit both customers and us. So the factory pays a lot of attention to quality of bending machines. Also, the steel bar processed equipment price is very competitive and fair on the market. As we all know, the motor power will determine working capacity of steel bar bending machines, so Ellsen has focused on the research and development of motors for many years. It meets international standard. The motors produced by us could work continuously, even work under heavy load. Ellsen clad layer on the surface of working disc and other accessories. This is against rust and wear resistance. It makes them have a long-life service time. 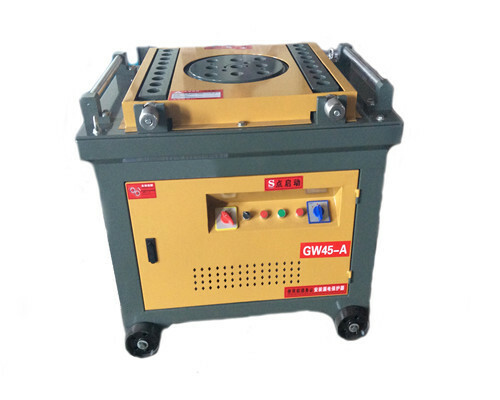 The main body of rebar bending machines is made of excellent materials, which makes sure it have a beautiful look and uneasy to rust. Worm gear drive system is very important for steel bar machines for sale. It is used to transmit motion and power. Ellsen uses anti-friction material to produce worm gear, which makes it high transmission efficiency, small erosion, good heat dissipation. Heavy duty reduction gearbox makes the machine work a long time. 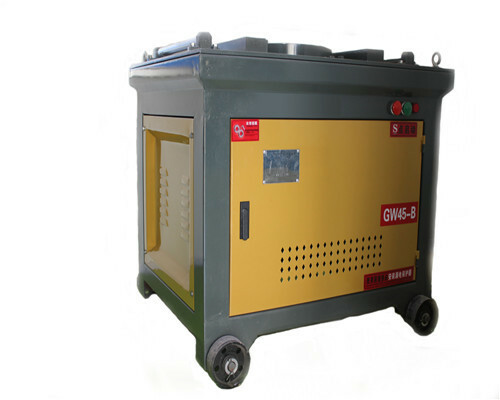 All our construction bending machines works steadily with low noise. The steel bending machine price is very reasonable that accepts well by our clients. It is very easy to operate steel bar bending construction equipment produced by Ellsen factory. Before starting the bending machine, we must make sure the bending molds are all ready. Please check whether the emergency stop and foot pedal are workable or not. We could put the steel bar into the bending molds while all is ready. It will stop automatically if you use an automated steel bar bending machinery. 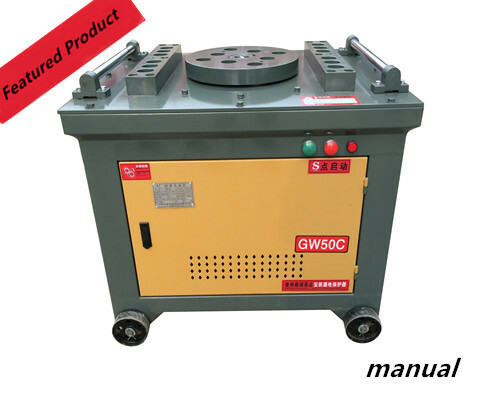 However, you must turn off the steel bar bending machine manually when it finishes bending work with the manual steel bar bending machine. In general, we will send you the guide book together with the steel bar processed machines you brought from us. It shows clearly how to operate the steel bending machine. Besides, we welcome our clients to learn operation class in our factory and it is for free. Please keep your hand away from the bending molds in case of accident. 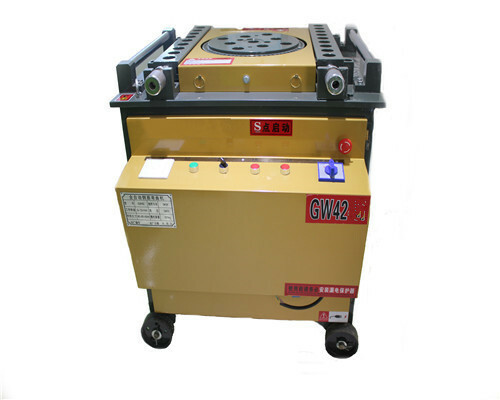 Stop the bending steel machine as soon as it sounds abnormal noise. Never use the bending molds of steel bar bending tool if there has crack on the surface. Don’t place the steel bar bending machines in wet environment. 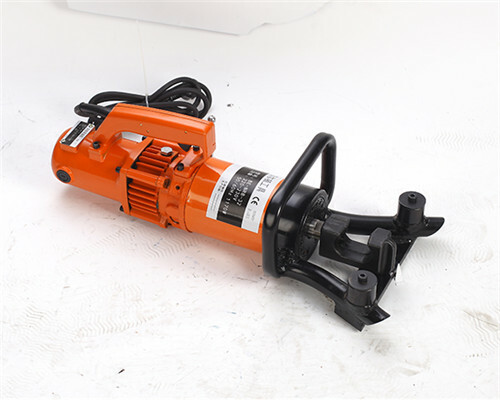 Please cut off the power supply when not using bending machine for steel bar. Keep the working table clean when not in use. In fact, it is unnecessary to maintain our bending metal machine often. For our Ellsen bending machines are designed reasonably. And our reinforcing steel bending machine is able to work continuously over one month if you lubricate it once per month. 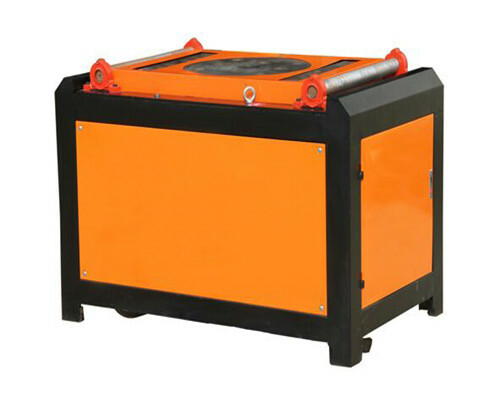 What we should do is to check the accessories like screws, bending molds, working disc, motor, transmission belts etc. 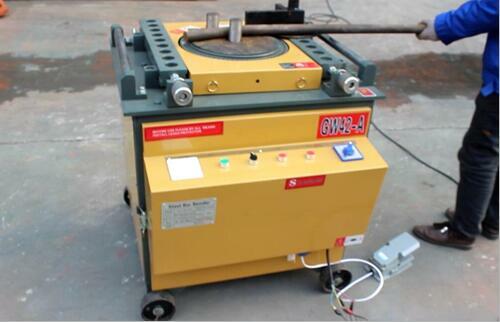 The steel bar bending machines will have a long performance life when we use it with great care. When you decide to order our steel bar bending units, it will take 1-2 days to check all the accessories and pack the bending machines well. And this time is just for the reinforcing steel bar bendng machines we have in stock. However, it will cost 7-15 days to produce new steel bar processing machines as soon as our clients make orders. As for the payment terms, it is very flexible. You could pay us by T/T, Western Union, L/C, PayPal, D/P, D/A etc. No matter which method you will choose, you could pay the deposit first, then the balance. Ellsen guarantees one year warranty for the machines, including all accessories. Our factory offers buyers operation training for free. Our overseas engineers are ready to install machines for clients. Ellsen strong technical team could help clients resolve any problem, when they use machines. 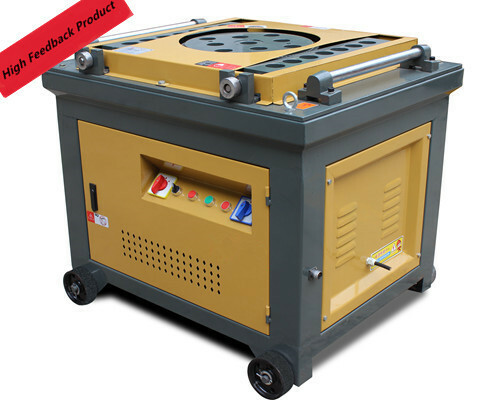 Ellsen’s sales department will provide clients with right steel rebar bending machine. Ellsen’s factory offer OEM service, customize steel bending machines with clients’ logo design. Customers could tell us their Destination Port, Lead Time, Processed Steel Diameter when inquirying price. As our salesman could quote an accurate price according those information.